If you’re looking for a simple recipe to create delicious candy apples, this is the right place for you! I don’t know about you, but candy apples taste amazing to me. I love everything about them. Their look, their crunch and the sweetness of sugar and natural sugar…perfection. 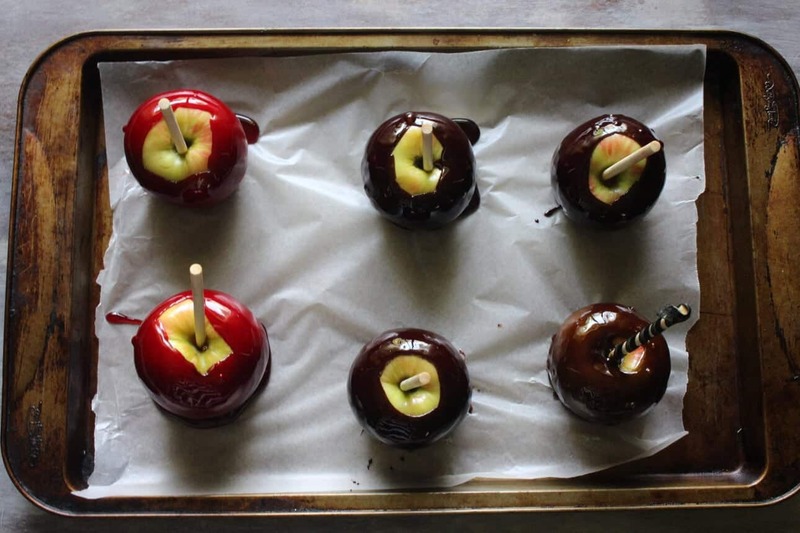 Many people tend to shy away from making homemade candy apples, but shouldn’t! They are seriously so simple to do that you’ll be bummed out that you waited so long to make it happen! 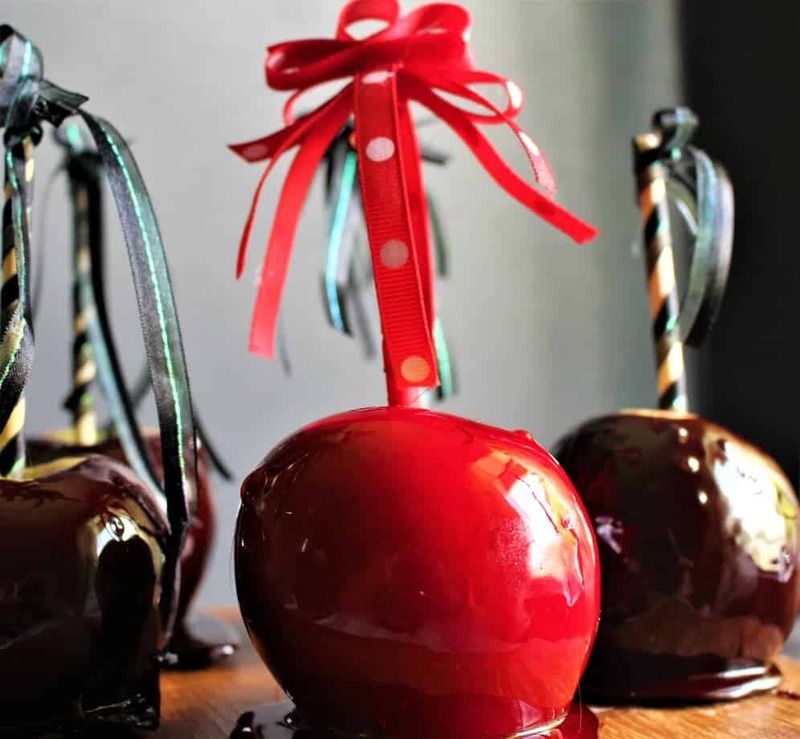 It’s the time and season for candy apples and today I am sharing this fantastic recipe for making your very own candy apples. 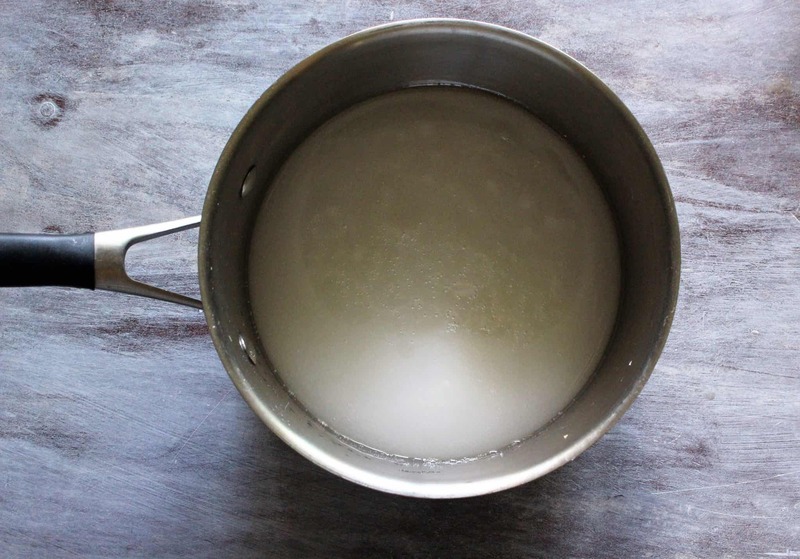 It’s a simple and easy recipe to follow and something that will go down a treat. 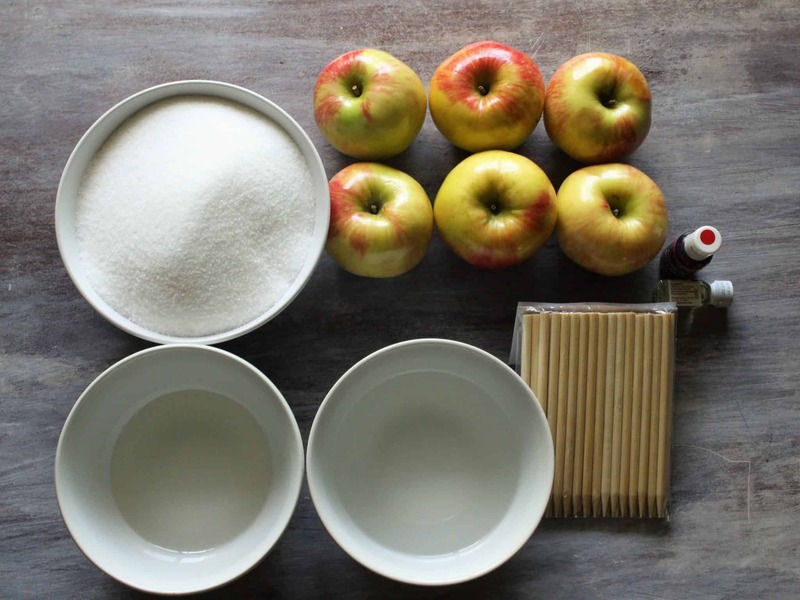 Who doesn’t love the combination of apples and sugar? Wash and dry the apples and place sticks into them and set aside. Prepare the cookie sheet with parchment or wax paper. Spray with oil lightly. 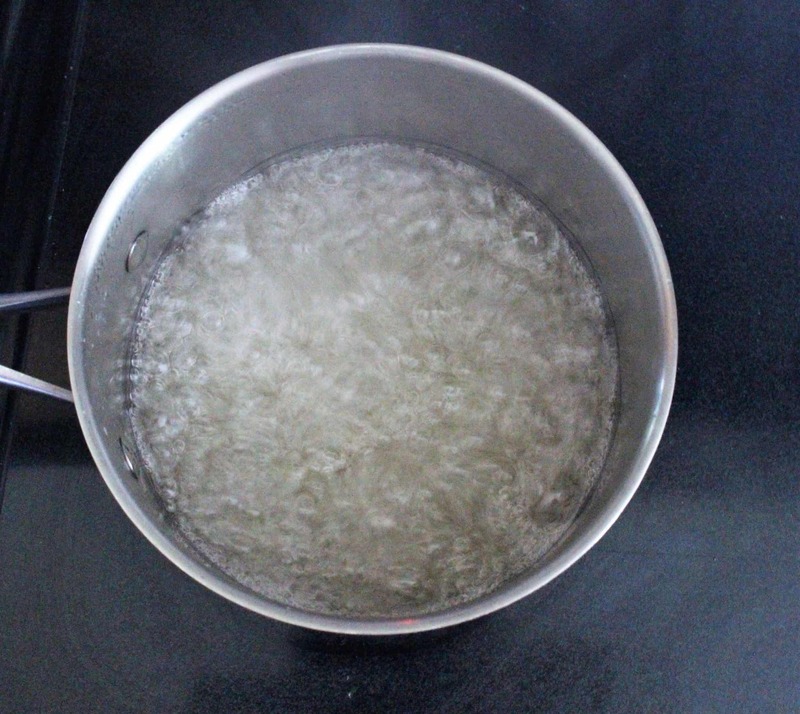 Using a medium saucepan place the sugar, corn syrup, water, and cinnamon at medium heat. Bring to a rolling boil until crack stage is reached. 300 degrees. ( I always let mine go 10 degrees higher it helps the candy have a crisp snap) if you don’t have a candy thermometer use a cup or small glass filled halfway with water. Once candy cooks for approx. 10 min use a spoon. Dip into the mixture and let some drop into the water. If the candy hardens immediately it is at crack stage. When candy is ready separate half into another saucepan. This is when you add the food colouring. Dip each apple into candy and swirl. Decorate any way you want. Enjoy! 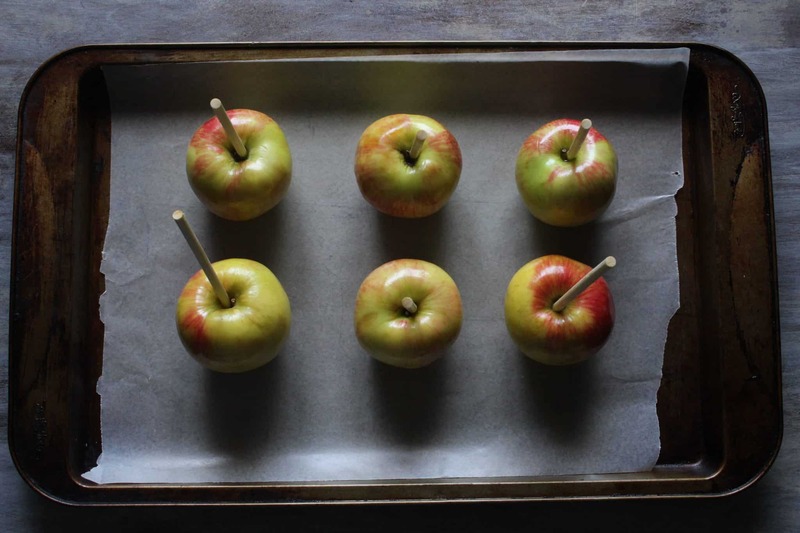 You won’t find a candy apple recipe any more simple than this! Welcome to the Thrifty Cottage. Here you will find Fun, Frugal & Budget Friendly Recipes, Tips and DIY projects. Thrifty Cottage is a blog created by Award Winning blogger Angela Milnes. Thanks for stopping by! Copyright © 2019. Thriftycottage.com | All Rights Reserved.